When John Chambers announced his retirement as CEO of Cisco, he hand-picked Chuck Robbins to be his successor. And when Robbins officially took over, he called his shot: Under his leadership, Cisco would move faster — much faster — to stay ahead of the changing times. At the time, Cisco was still a Silicon Valley powerhouse, but doubts were beginning to swirl. Companies were moving to Amazon’s cloud, or Microsoft’s, or Google’s, in a trend that’s only accelerated in the years since. And the more they relied on the cloud for their computing infrastructure, the less they were spending on their data centers — and data center networking hardware, like the kind that Cisco is best known for. Going on four years later, and Wall Street is definitely taking notice of Robbins’ progress: Cisco shares are up almost 60% from the day Robbins took the reins at the company, and were up some 13% in 2018 alone. The company has a market cap of about $200 billion at the time of writing. In its 2018 fiscal year, Cisco booked its highest-ever annual revenues of $49.3 billion, up from $48 billion in 2017, with 32% of that coming from recurring sources like subscriptions, while software was about 10%. Networking gear is still Cisco’s bread-and-butter, but the mix is changing. “The irony of this whole cloud transition is that it is actually one of the key forces that’s leading to our growth, whereas four or five years ago it was viewed as an existential threat,” Robbins told Business Insider at a sit-down interview at Cisco headquarters in December. Don’t underestimate that trend, either: “Growth doesn’t come easy at a mature company, especially with mostly-mature technologies,” says Rohit Mehra, VP of network infrastructure and a long-time Cisco-watcher with research firm IDC. Here’s what Robbins had to say about his journey from the bottom of Cisco all the way to the top, what comes next, and how he revitalized the $200 billion company into a lean, mean, cloud-focused machine. 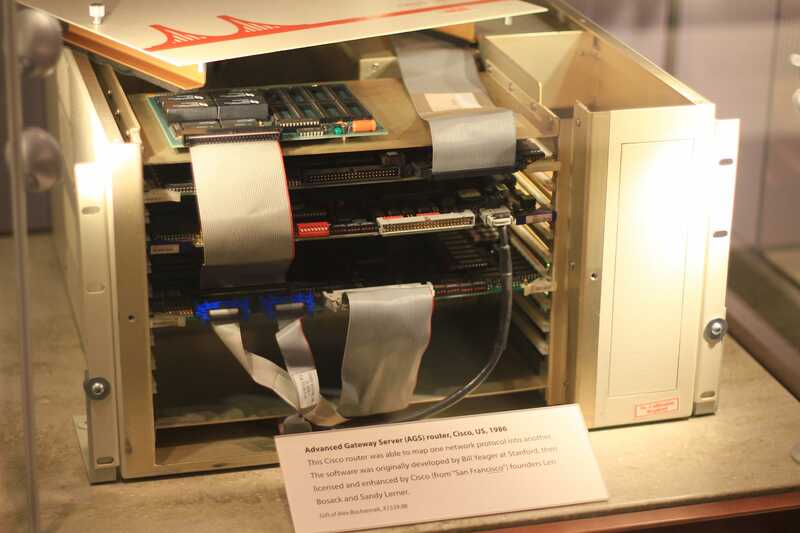 Robbins got his degree in mathematics from UNC Chapel Hill in 1987, and worked for five years at the North Carolina National Bank as a programmer. What’s funny, he says, is that this gig gave him hands-on time with Cisco’s first-ever products, well before he actually joined the company in 1997. First coming aboard as a sales account manager, Robbins climbed the ladder, from regional manager, and ultimately up to CEO. He says that this has given him a variety of perspectives on Cisco: First as a customer and user, then as a member of the rank-and-file staff, and ultimately as an executive at its highest levels. He credits these experiences with helping him develop as a leader. “Just watching the industry evolve, and then being here, I think that you get instincts about how this thing, and how it’s moving,” Robbins says. To that end, he credits his insider status with giving him some key advantages as he tries to move the company forward. It’s given him a good grounding in what, exactly, needs to get done, as well as knowledge of how to navigate office politics and processes to actually make things happen. Robbins credits his predecessor John Chambers for doing a lot help Cisco evolve before retiring from the CEO job. Key acquisitions like Meraki, a wireless networking startup that’s now one of Cisco’s most important businesses, were made under Chambers’ watch, Robbins notes. When Robbins took over, the time was right for the company to take an even bigger step towards reinvention — “There’s always an opportunity when there’s a leadership change,” he says. 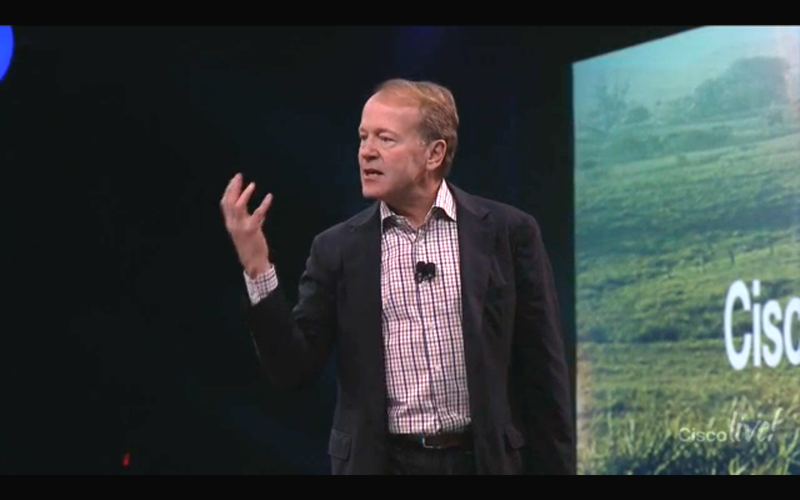 His goals were threefold: First, “provide clarity to the market” about Cisco’s role in the cloud computing market. Second, “reinvigorate the innovation in our core franchises” — he says “there were a lot of people who didn’t believe that there was any innovation left to bring” in that regard. The third priority was to give customers more flexibility in how they use Cisco products and services. This has, in turn, led to Cisco focusing its efforts on subscription-based businesses, like cloud security and compliance. Not everybody was on board. Some Cisco executives weren’t interested in pursuing this new direction: Some were close to retirement anyway, and others took it as a sign that it was time to leave and pursue new opportunities as CEOs themselves. Indeed, several high-ranking Cisco executives, including former CTO Padmasree0 Warrior, left in the months just following Robbins’ ascension as CEO. Ultimately, though, Robbins says that he found a strong core of Cisco employees who wanted to work with him on this push, which was good, because he needed the help. Core to Robbins’ strategy is the idea of what he calls intent-based networking. A big reason why cloud services like Amazon Web Services or Microsoft Azure are so successful is because they remove a ton of complexity, argues Robbins. You throw your servers up in one or more clouds, and let Amazon or Microsoft or whoever else worry about the hard work of securing and managing the network. This is where Robbins saw the opportunity to innovate. Not every company wants to, or is able to, move to the cloud wholesale. Robbins wants to make it as easy for those customers to manage their networking infrastructure as it is to run it in the cloud. The strategy involves helping IT pros spend less time worrying about the nitty-gritty of running a network, and shortcut straight to what they hope to get out of it — hence, intent-based networking. 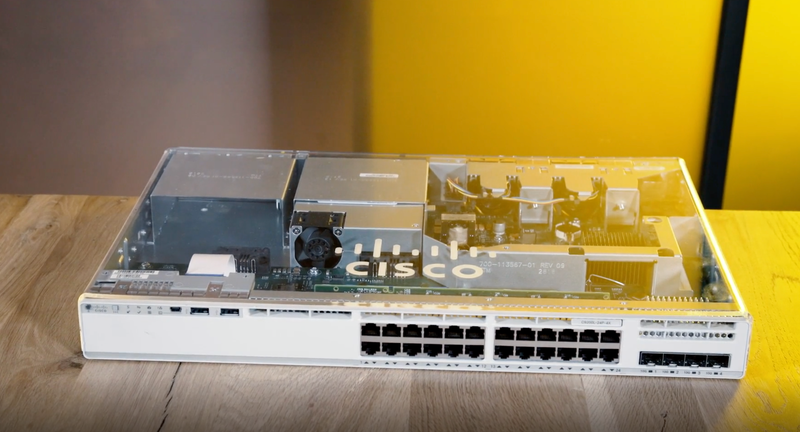 The first big example of this, Robbins says, was the Catalyst 9000 line of network switches, which he says was Cisco’s fastest-adopted product ever when it launched in mid-2017. These switches are programmable, meaning that IT departments can automate security and compliance processes, even if they’re managing an uplink to the cloud. And they integrate with Cisco’s DNA subscription service, which helps networking pros manage, maintain, and secure their networks on an ongoing basis. This combination of hardware and software accomplishes some key goals for Cisco, says Robbins: It allows Cisco to keep on trucking with building networking gear, while the subscriptions give it a credible play in the red-hot cloud market. Cisco even helps manage these processes if some of a customer’s infrastructure is, in fact, in the cloud. The success of the Catalyst line, and the success of similarly intent-based products like the Cisco HyperFlex server infrastructure platform, has given Robbins confidence that the company can, indeed, still innovate. And he says that it means that more changes are on the horizon. Robbins says that the move towards subscriptions was something of a gamble. But in a world where everything from Adobe Photoshop to music and movies are purchased via a monthly subscription, it was a necessary move. “I had no idea how our customers would respond to the shift of subscriptions, but frankly this is just the way they buy things today,” says Robbins. In general, he says, customers are grateful that Cisco is trying to meet them where they are, and work at making their lives easier. And while Cisco has a reputation as serving the Fortune 500, Robbins says that it’s seeing huge growth in the midmarket, too. The Catalyst 9000 switches were adopted by mid-sized companies who wanted enterprise-grade features, without enterprise-levels of complexity, he says. 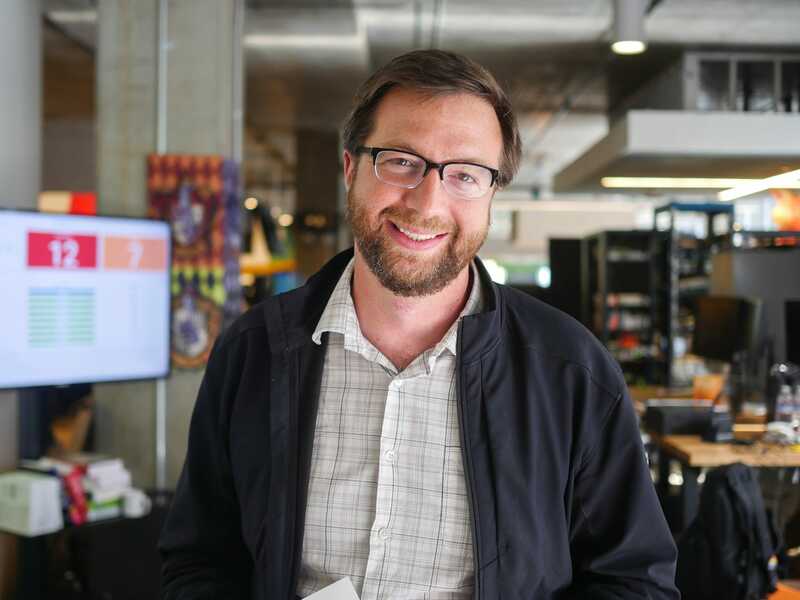 And Meraki, the Cisco subsidiary, helps even small companies manage their corporate WiFi and protect against threats — Mehri, the analyst, sees it as the leader in its market. Still, things aren’t perfect, says Mehri: Huawei, the Chinese telecommunications company that’s been in the news a lot lately, is challenging Cisco’s market dominance in key foreign markets, notes Mehri. And it’s still worrisome for Cisco that Amazon Web Services and the other cloud providers are either building their own networking gear, or just customizing cheap white-labeled alternatives, rather than purchasing the company’s wares. In the end, though, Cisco has a lot going for it, and Robbins has made lots of moves to make it competitive, in Mehri’s view. “Cisco will be healthy for a long time,” says Mehri. Robbins would likely agree with that assessment. While he says that he’s pleased with the work done so far, it would be a mistake to get too wrapped up with Cisco’s strong performance on the stock market.